There’s no way Kylie Jenner and Tyga can claim they’re not dating now. The reality star and “Rack City” rapper have had a close friendship for years. They’ve denied frequent rumors that their relationship had blossomed into something more. But thanks to a new photo making the rounds on social media, it’s looking more and more like the two are much more than friends. In the photo, posted to Instagram by a number of fans and gossip sites, you can clearly see a new tattoo on the inside of Tyga’s right elbow: “Kylie” in large, flowing black script. We’ll just be here waiting for whatever story they’ll come up with to explain this one. Even though the two appear to be dating, it’s no secret that they have actually been close friends for a long time — Tyga has lived next door to Kylie’s big sister Kim Kardashian and her husband Kanye West, and he’s been friends with Scott Disick. 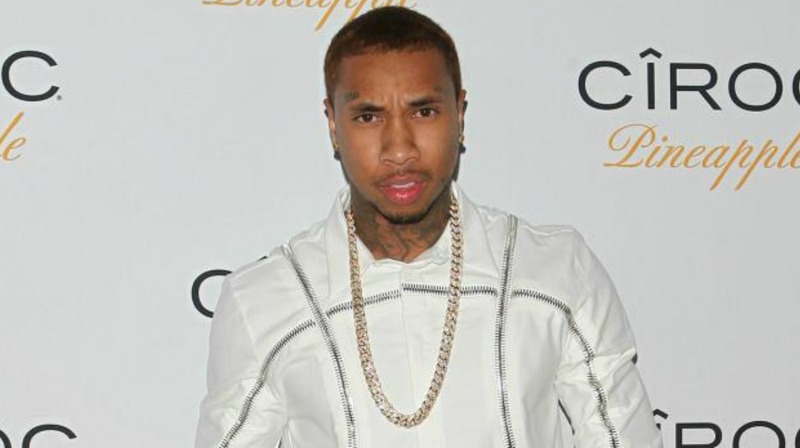 But in another interview with AMP Radio, Tyga hinted at a blossoming romance between the pair. Do you think Tyga and Kylie Jenner are dating? 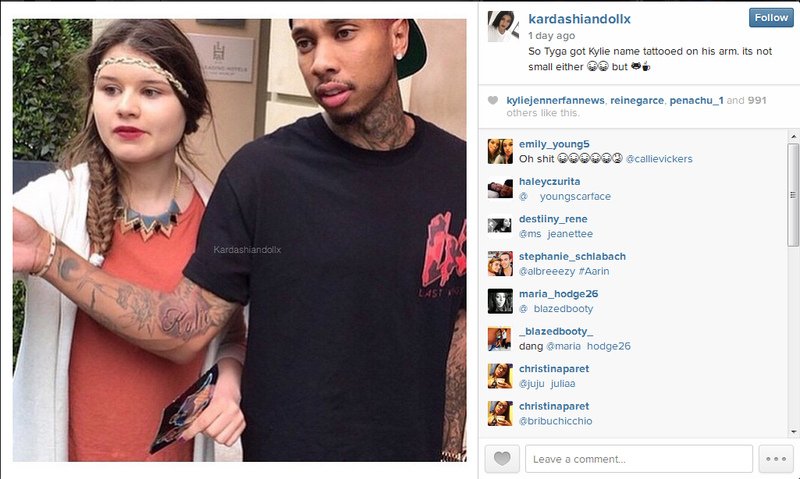 What do you think of Tyga’s new tattoo in her honor? Head down to the comments and share your thoughts.